At one time or another, most of us have wanted to rock an ethereal festival look while paying next to nothing. Instead, we are faced with the fact that the crochet dress we've fallen in love with at the mall is a pricey $300 and oh...so is all of the matching boho jewelry to go with it. Thankfully those days are over! 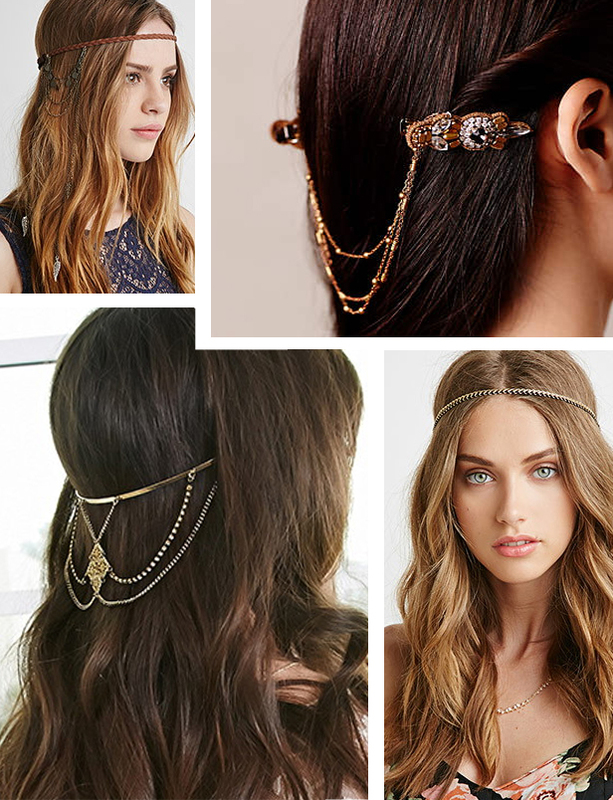 Decorative hair chains are quickly showing up in stores all over the U.S; making this look now easily within reach. What I love about this look is that it's feminine, romantic, and rebellious all in one. Not to mention that they work just as well in a professional setting as they would at Coachella. Anthropologie has introduced some of the most empyreal of the bunch. Perfect for a set of bridesmaids in a rustic wedding.